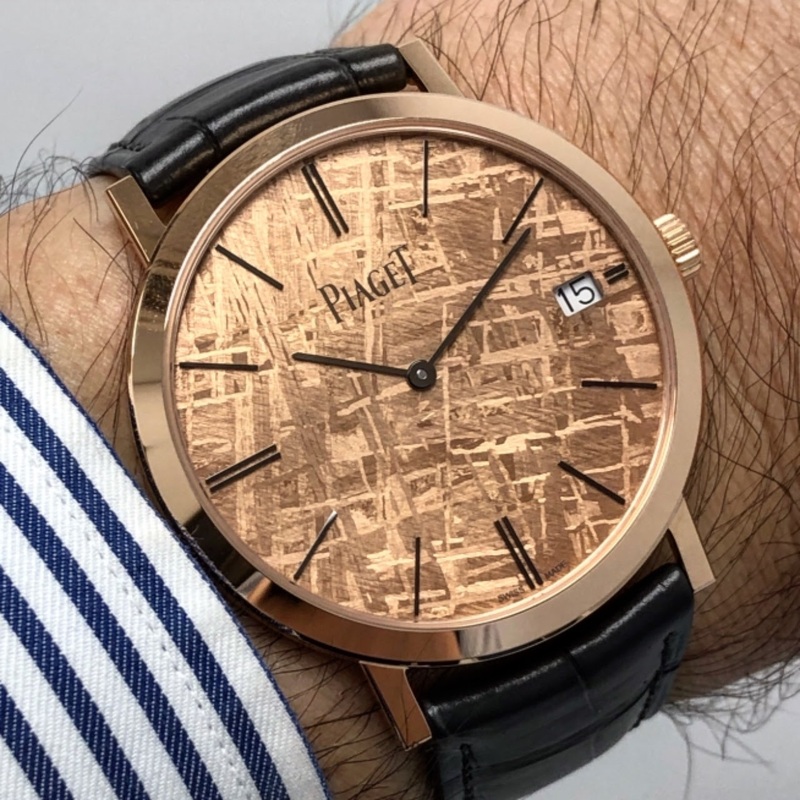 This watch was unveiled at the sihh 2019. I love the pink gold version because I find its dial luminous. Sadly the watch would have been even better without the date window. A pity. At least blend in the date window with a matching gold date disk. But On the wrist maybe the date disappears from your view. Really spoils a great face ups!